Welcome, welcome. To say that I am excited about apple season in North Carolina would be a huge understatement. I love apples. My kids love apples. We especially love North Carolina apples. North Carolina produces over 4 million bushels of apples in a year. That’s a lot of apples. If you are thinking that an apple galette sounds fancy, think again. An apple galette is all the flavor of an apple pie with half the work, and none of the precision. Perfect for kids in the kitchen. All fun. Low stress. Totally delicious. Where we live, apple season runs from about August to October, but you can get apples, kept in cold storage, most of the winter. Once you eat local apples, it’s hard to go back to store bought. Locally grown apples just taste so fresh! 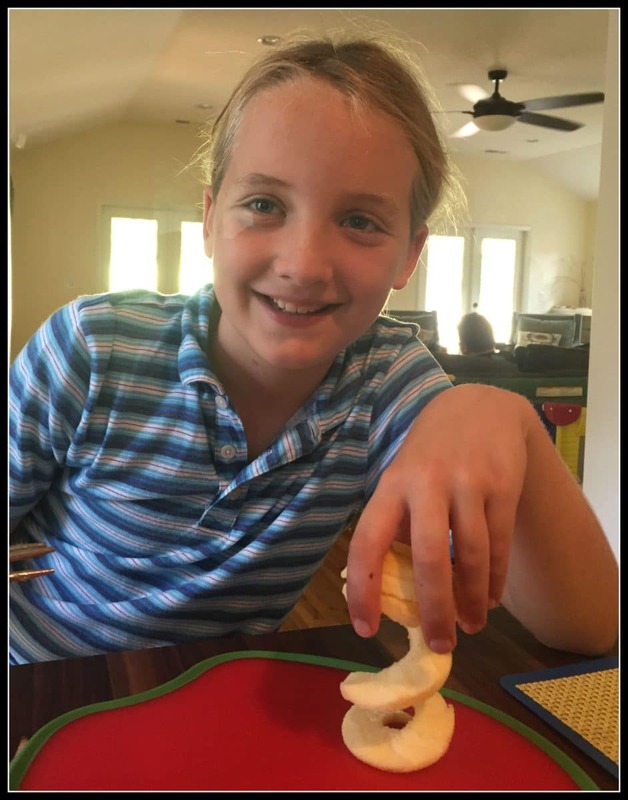 For this recipe, my kids got out their favorite kitchen tool – the apple peeler. We got ours as a gift and it is used – a lot! 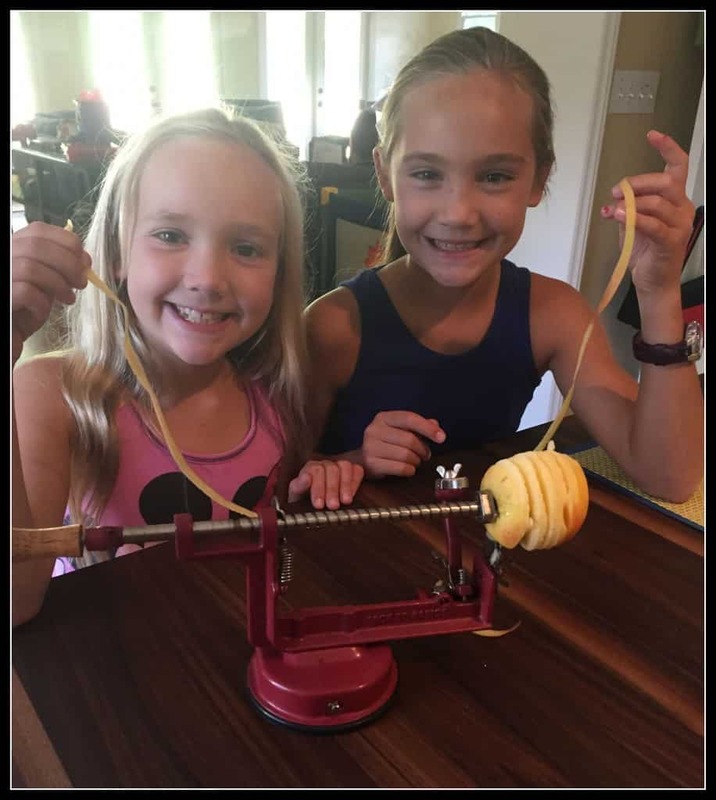 As kitchen tools go, this one is not very pricey, it’s easy to clean, and if you cook with apples or your kids devour apples like mine do, this apple peeler will come in very handy. 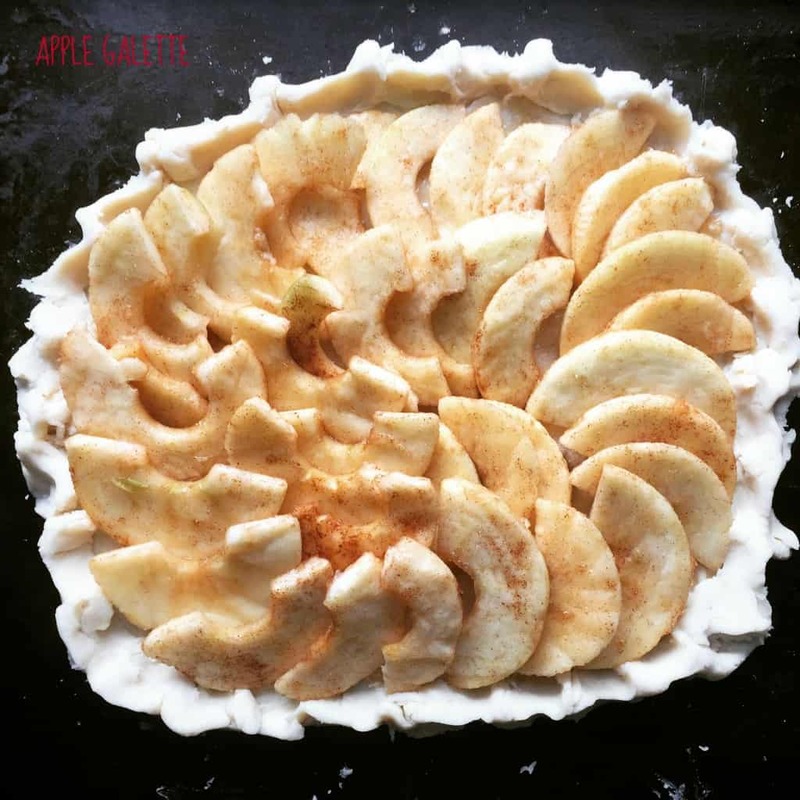 This week, we decided to make an apple galette because we were craving a delicious apple dessert but we didn’t want to put in all the work necessary to make a pie. An apple galette is like a super simplified version of an apple pie and really perfect to cook with your kids. For our apple galette adventure, the kids took turns peeling and coring the apples while I pulsed the ingredients for the crust in a food processor. If you have a food processor, this crust will take you about 2 minutes to make. No joke. Put your flour (we used Pamela’s gluten free flour), sugar, and butter in a food processor. Add ice water. Done. I like to keep my butter in the freezer before adding it to the food processor and then, after my crust has been made and shaped into a nice round disk, I pop it back into the fridge while we prep the rest of the ingredients. This way, the lovely little chunks of butter stay buttery so that when you finally put this apple galette into the oven, you will have little pockets of buttery goodness in the crust as it cooks. Also, it never hurts to chill your dough a little bit more so that it is more forgiving as you roll it out. Warm dough is not your friend – especially where kids are involved. It gets sticky and hard to manage. After your apples are sliced, toss them in a little bit of sugar and cinnamon and let them sit while you roll out the dough. Take the dough out of the fridge and roll it out on a well-floured surface. We used our countertop. This is a great job for kids to help with! 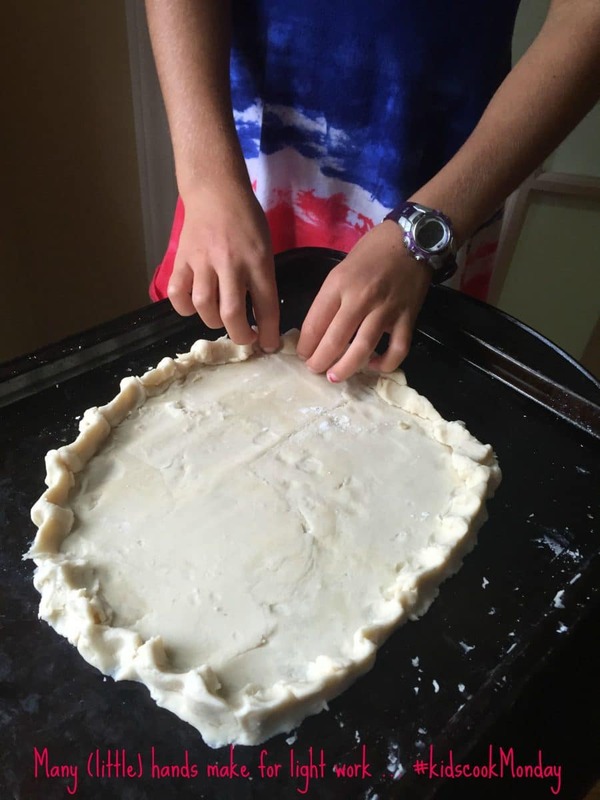 To make sure the dough doesn’t stick to the counter, I like to have the kids roll it four or five times and then I gently flip it over to make sure it’s not sticking. Add a little bit more flour to the dough and the rolling pin if it’s sticking. Keep rolling and flipping until it’s roughly the right size to transfer to the pan. 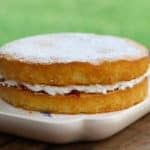 To add a little layer of sweetness to your crust, I spread about 2 tablespoons of some nice jelly evenly over the dough. For this galette, the kids picked out a Rose Petal Jelly from the pantry. Whoa. It actually tasted like rose petals. It was perfect on this crust. 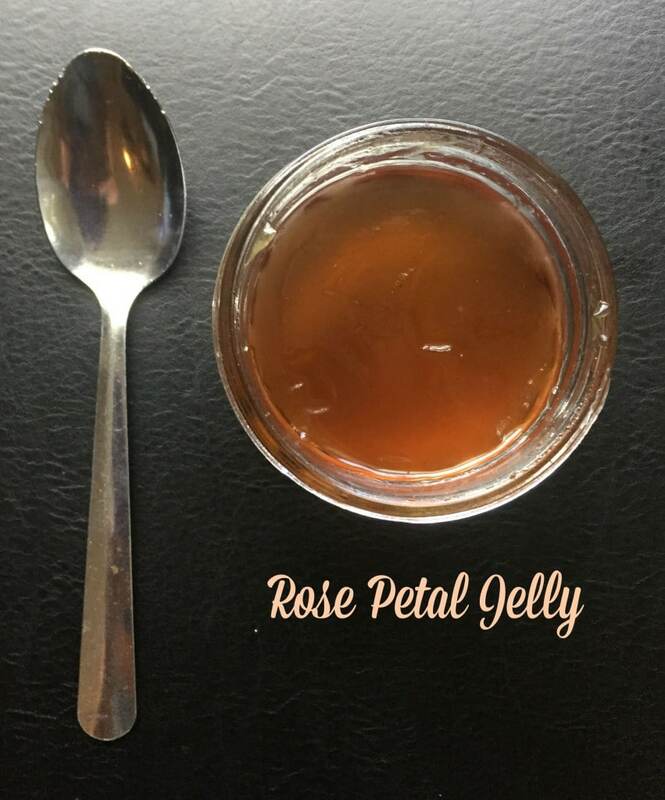 Chances are you cannot pick up some rose petal jelly at your local grocery store, so use any flavor that you enjoy! The final step is layering your apples on your galette crust. Start from the center – it will make the layering easier. Before we put the apple galette into the oven, we drizzled it with honey and dotted it with a few bits of butter. 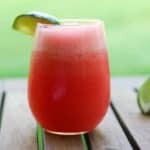 Such an easy dessert! Let it cook for almost an hour and then cut it into pizza shaped slices. This galette didn’t last long but I was able to hide one piece away so I could eat it with my coffee for breakfast. It tasted great the next day as well! Happy apple season! 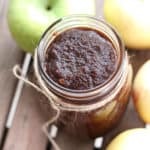 Hope you and your kids make lots of delicious apple treats together this fall! An apple galette is all the flavor of an apple pie with half the work! Enjoy! In a food processor, combine the flour, sugar, and butter and pulse into small pea sized pieces - about 5 to 7 seconds. 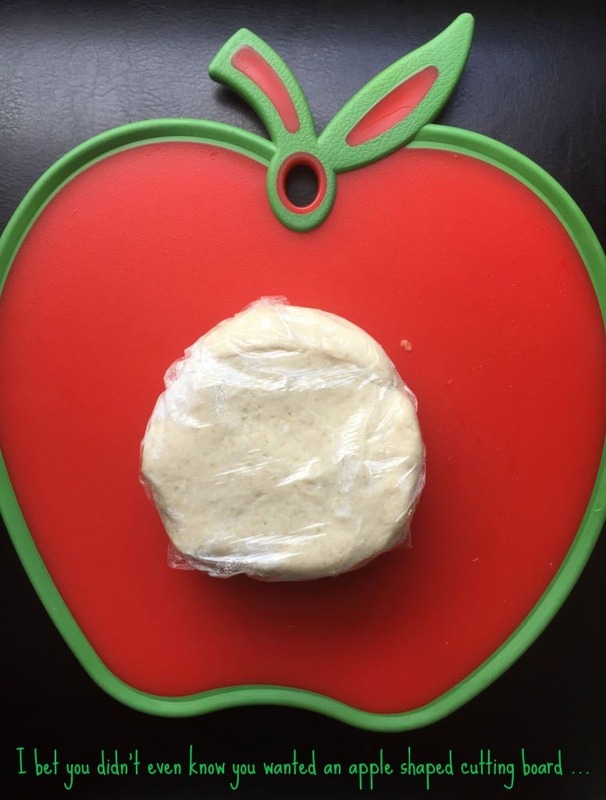 Gather the dough into a ball and form into a disk. Wrap in plastic wrap and put in the fridge for about 20 minutes (longer is fine!). Roll out the dough on a floured surface. Transfer to a cookie tray and fold and pinch down the edges. The shape is not important! Round or rectangular works fine. Peel, core, and slice 4 to 5 apples. Cut slices in half. Gently toss apple slices with cinnamon and sugar. Set aside. After you have transferred the apple galette crust to the cookie pan, spread 2 tablespoons of jelly evenly over the crust. Add the apples, working from the middle to the edge, in a circular pattern. Some overlapping is fine! Drizzle honey over the top of the apples and dot with small pieces of butter. Cook at 400 degrees for 50 to 55 minutes. what a delicious way to ring in fall! we get SO excited for apple season every year. We love summer but there is something so nice about the first apples of the season and a little bit of a change in weather! Thanks! 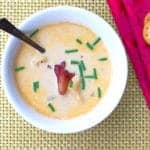 I am big on my kids cooking and this is absolutely brilliant! We live in apple country too (Ohio) and I love baking with apples. 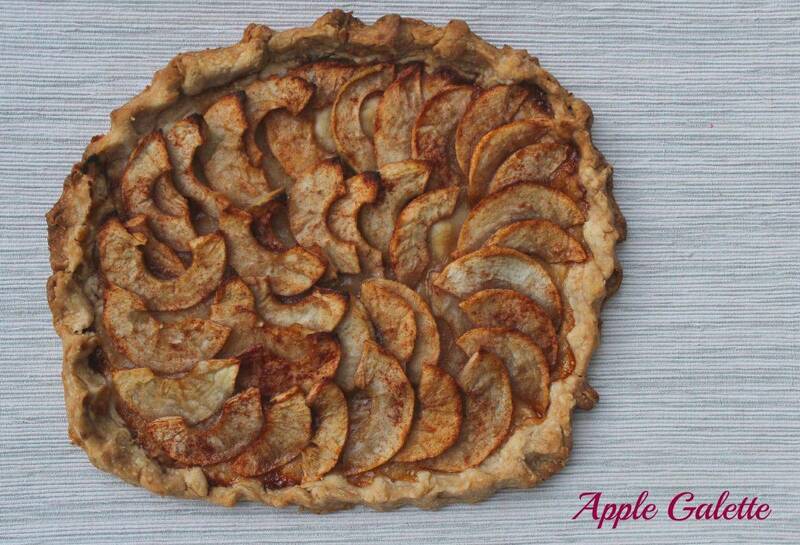 Oh, how I love apple season and baking with apples, this galette sounds wonderful! Thanks! I am hoping to get the kids out apple picking one of these weekends – the “real” apple season always seems to go by quicker than I anticipate. So cute, I love that you involve your kids in the kitchen! And the galette looks yummy! Thanks, Kimberly! They LOVE to cook with me. It’s a great way to spend time together.